The 48-year-old was born into the Nehru-Gandhi family, whose legacy is intertwined with an independent and democratic India. 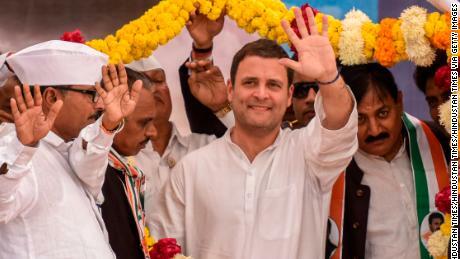 He is also president of the India National Congress — the main opposition to Prime Minister Narendra Modi and his Hindu nationalist Bharatiya Janata Party (BJP). Gandhi was a reluctant leader but has lately exceeded expectations, with his party winning key state elections late last year. 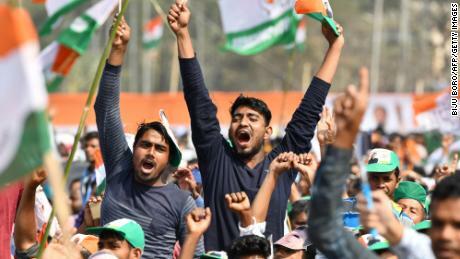 Madhya Pradesh, Rajasthan and Chhattisgarh had been controlled for years by the BJP and the victories there were a significant boost for a party which had been decimated in the last national election. In 2014, the BJP swept to an unprecedented win as voters — suffering from Congress fatigue, incessant corruption scandals and an apparently wavering leadership — chose what they saw as a strong leader in Modi. The Congress was reduced to a humiliating 44 seats out of a total of 545 in the lower house of Parliament. 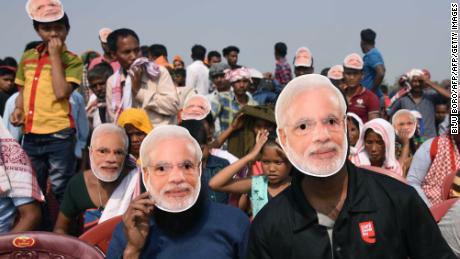 The BJP has in the past year largely campaigned on a “non-dynasty, non-Congress” platform — promising voters that only it can bring the progress that has eluded India for the last seven decades spent mostly under Congress rule. Gandhi in response has been campaigning on anti-Modi rhetoric. His party seeks to show that the economy has suffered in the last five years and that Modi’s promises have fallen flat. Gandhi is the son of a former Prime Minister, the grandson of India’s only female Prime Minister and the great-grandson of Jawaharlal Nehru, the first Prime Minister after independence from Britain in 1947. 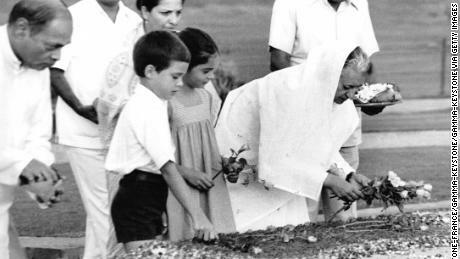 His father, Rajiv Gandhi, and grandmother, Indira Gandhi, were both assassinated. Gandhi entered politics less than two decades ago, standing for a district that has been a family bastion. He moved slowly up the Congress hierarchy to be elected party president in 2017. Despite his distinguished lineage, his path to the top of the party was slow and hesitant and he continues to face criticism as its leader. The Hindustan Times has taken Congress to task for its lack of answers to the agrarian and jobs crisis. “What the Congress needs to offer is thus a more detailed policy prescription, which identifies why some of these solutions have been difficult to achieve. That will make the alternative agenda more convincing,” it said in a recent editorial. Despite his landmark 2014 victory, critics say Modi has failed to deliver on his biggest dream, an economically stronger nation. Joblessness remains an intractable problem among India’s youth and farmers are burdened by debt. Two of his government’s boldest economic initiatives — demonetization (a ban on high value currency) and the introduction of a national Goods and Services Tax — have also come under fire for crippling small businesses and destabilizing what remains a cash-based economy. Gandhi has seized on both policies, as well as attacking the Modi government for emboldening hardline Hindi nationalists who threaten India’s secular fabric. During a speech last year in Hamburg, Germany, Gandhi blamed unemployment, resentment and the chaos caused due by Modi’s economic policies for the increase in mob violence. “When you hear about lynchings in India, when you hear about attacks on Dalits in India, when you hear about attacks on minorities in India — that’s the reason for it,” he said. Yet it’s not clear that a shrunken Congress alone can displace the BJP when polling begins on April 11, as Gandhi himself appears to acknowledge. 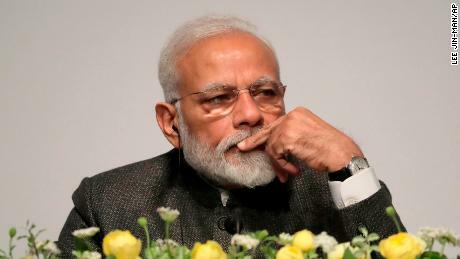 He is throwing his weight, as the country prepares to vote, behind a so-called “Grand Alliance” with regional parties to take on the Modi juggernaut. The nationwide result — and the fate of Ganghi’s political future — will be announced on May 23.